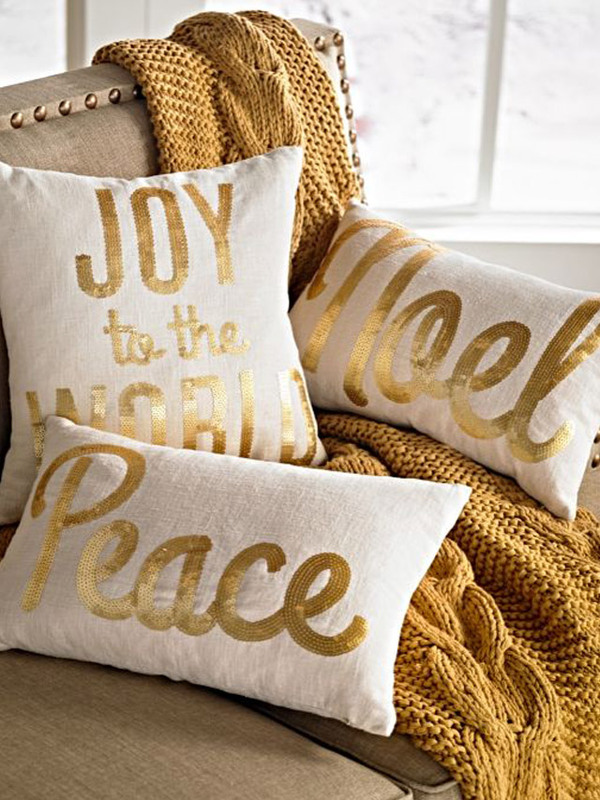 Time to make your house sparkle for the holidays! 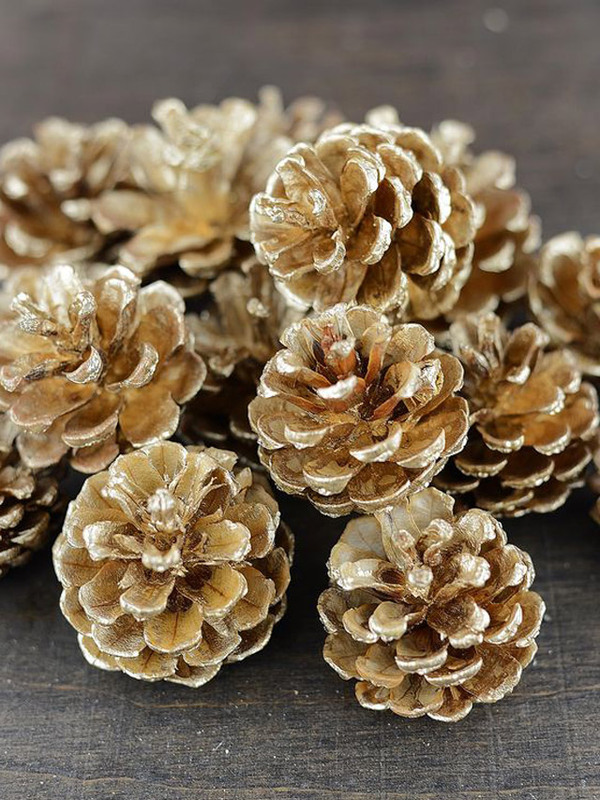 Add a special touch to your vignettes by adding gold pine cones as accent pieces. You can place them in a tray or leave a bunch on a side table. If you’re hosting a get-together with friends, fill a glass jar with gold pine cones and use it as a part of your centerpiece. Find colorful pine cones at SM Home. Prepping a setup for the living area? Add height to your display and make it more interesting with towering cones you can make on your own. With cardboard, spray paint, and a pack of glitters, you can make five of these that you can use as mini trees. 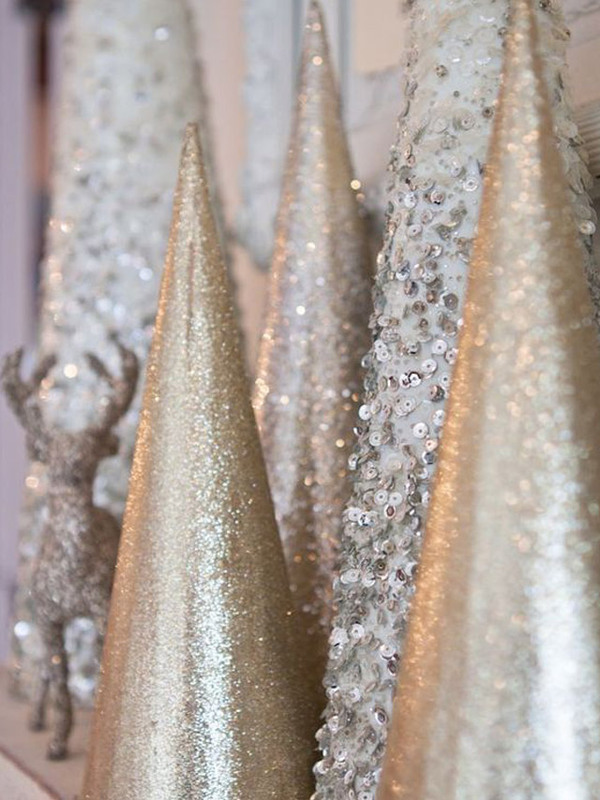 If you have more time in your hands, you can spruce up each cone with sequins. Make your living area, sitting room or even the lanai more festive with furnishings in this striking hue. A deep yellow throw can liven up a plain sofa. Pair it with printed pillow covers in the same color for a cohesive look. Find similar pieces at H&M Home. Take your gathering to great heights with enchanting tableware. Recreate the feel of a fancy buffet at home with glittering cutlery, plates that stand out, and other ornaments that add an elegant touch to the table. 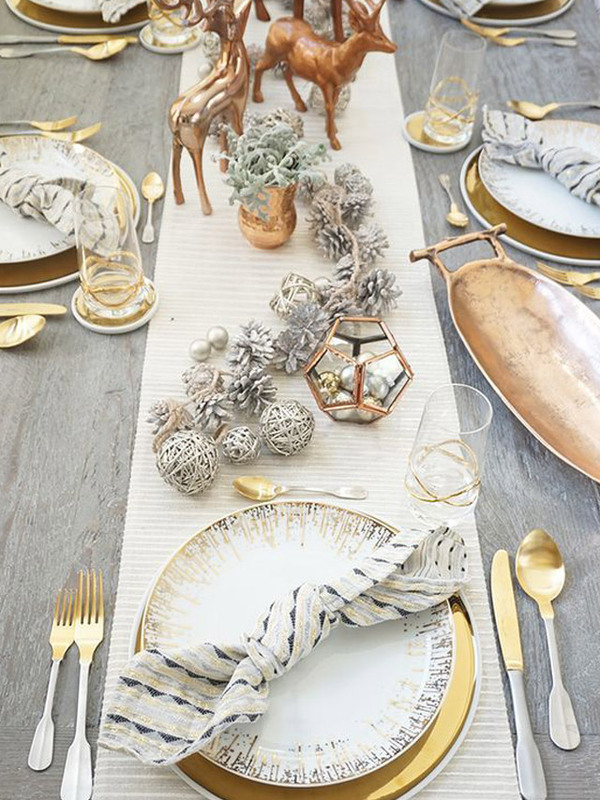 For an easy centerpiece, you can bring together your himmeli planters, mini reindeers and balls, and more pine cones. Find similar pieces at Crate & Barrel, SM Makati. Those who want a quick and easy way to showcase gold around the house can fill glass vases or even mason jars with gold Christmas balls. 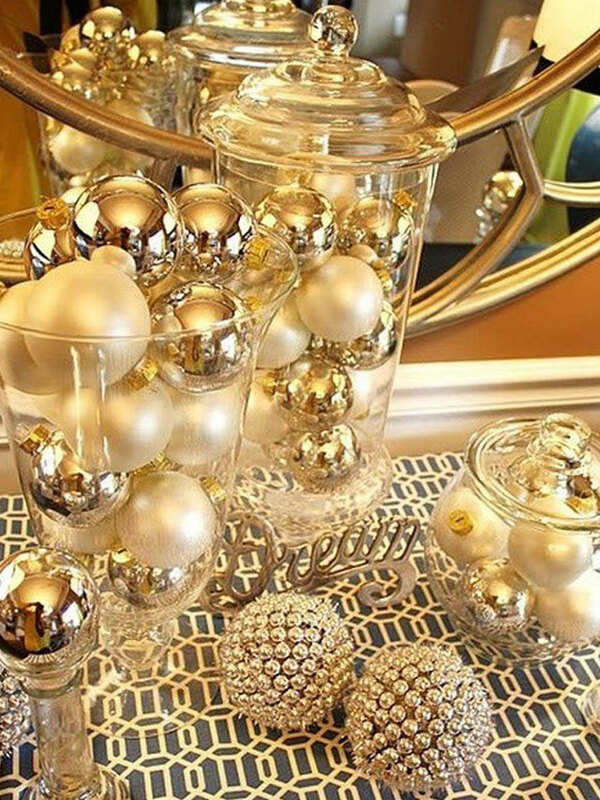 Make it extra interesting by working with various sizes or pairing matte gold balls with glittery ones. Find different kinds of Christmas balls at SM Home. Gold stands out no matter how you use it. 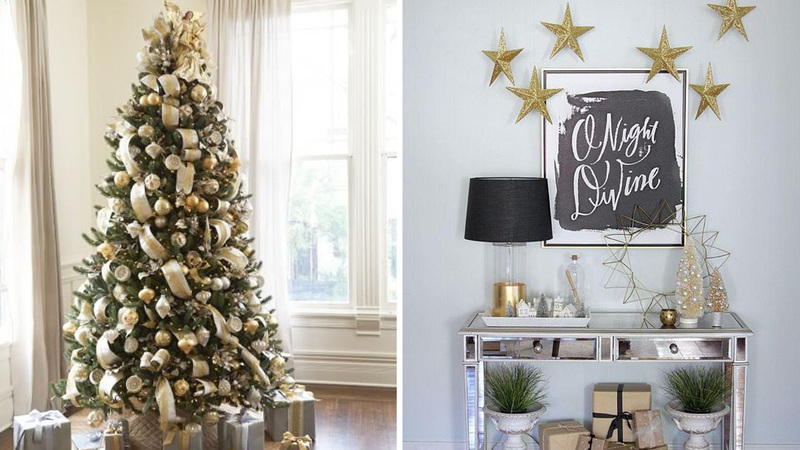 Let your Christmas tree shine by opting for gold wrapping paper. Imagine all those pretty boxes under your tree—we’re sure you’ll take pride in the final look! Shop for wrapping paper at National Book Store. 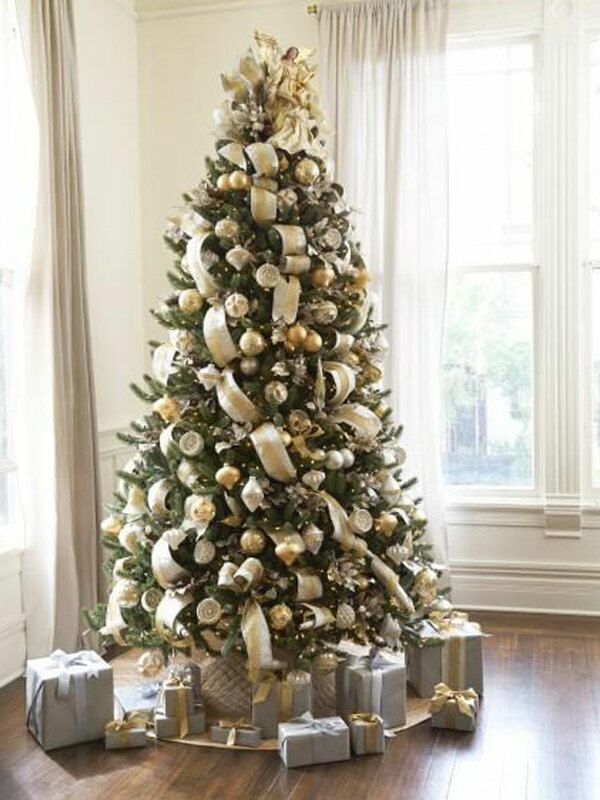 Polish the look of your tree with gold ribbons that you can pair with your chosen ornaments. Some choose to leave the ribbons flowing and there are those who add bows as accents around the tree. For an extra chic look, you can layer your gold ribbons with silver ones. Find ribbons at The Landmark, Ayala Center, Makati City. Make your guests feel at home with a charming setup in the foyer. Liven up your console table with tabletop trees, gold ornaments in vases, and a lamp with a beautiful base. To spruce up the wall, you can print the lyrics of your favorite Christmas carol and have it framed. 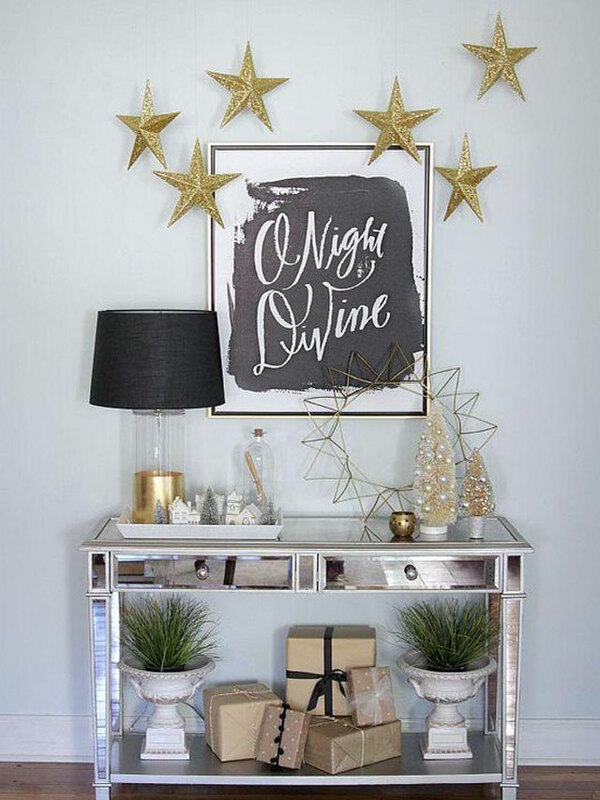 Those who are going the DIY route can work with gold specialty paper or just spray paint a few star cutouts. 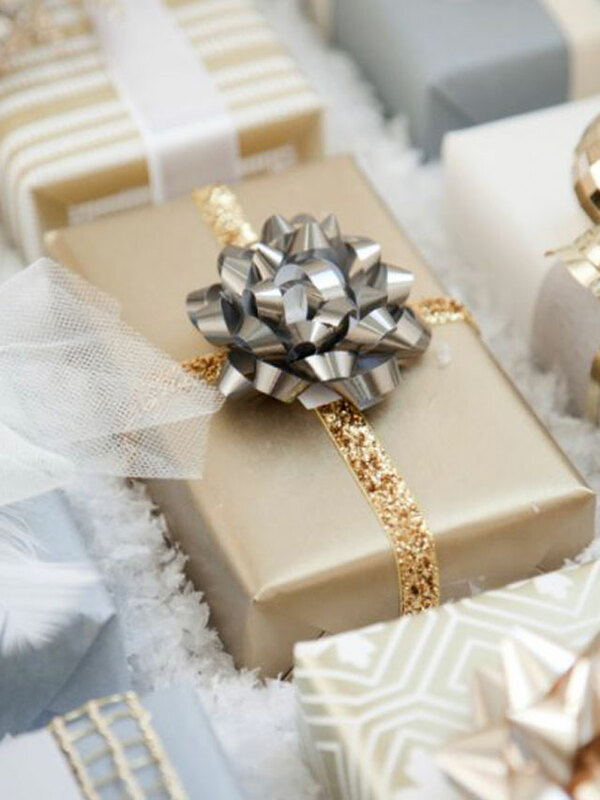 You can also display some empty gift boxes wrapped in shiny paper as extra decor.